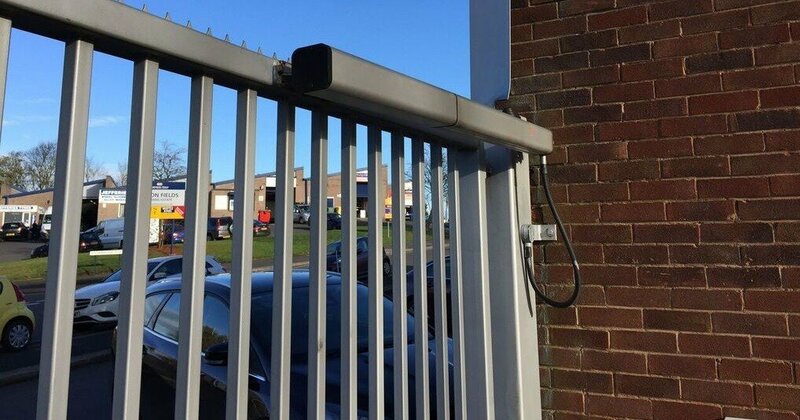 Electric Sliding & swing gates, traffic barriers, rising bollards, chain barriers, access control systems, safety upgrades, repairs, maintenance and service contracts from All-tech (Midlands) Ltd. Welcome to All-tech (Midlands) Ltd, suppliers of Midlands finest Automatic gates, Rising arm traffic barriers, rising security bollards, automatic chain barriers. Based in Bromsgrove Worcestershire we cover the whole of Birmingham and the West Midlands plus the adjacent counties of Worcestershire, Warwickshire, Gloucestershire and Shropshire. We manufacture gates to your requirements and install top quality gate automation, barriers and bollards from BFT and O & O. We offer a full range of repair services including on-site welding. We offer regular maintenance contracts including force testing to ensure compliance with legal requirements and HSE recommendations. With over 23 years of gate experience we offer a full range of services in addition to those listed above. Our subsidiary company Parsons Brothers manufacturer a wide range of top-quality gates for domestic applications including a range of steel framed gates with hardwood infill. We are also suppliers of roller shutters and security grilles for offices and have a large garage door showroom. Copyright © 2019 Welcome. All Rights Reserved.